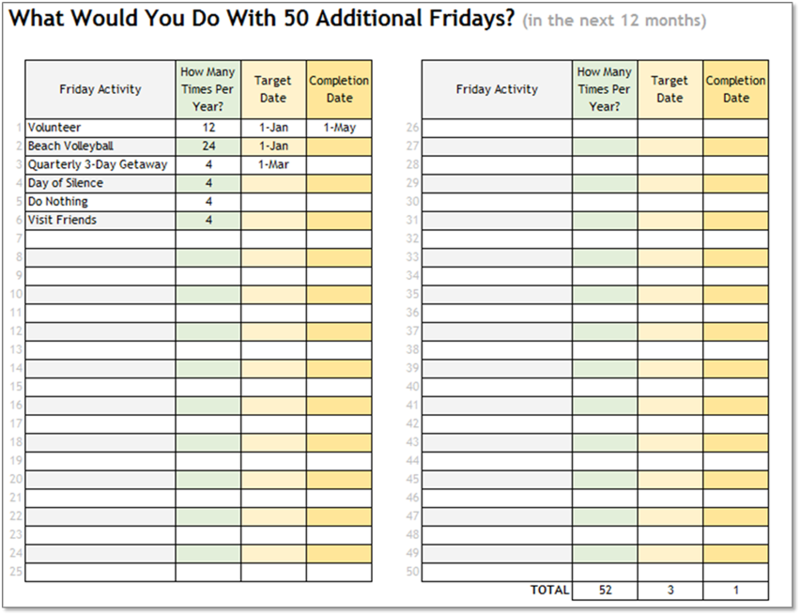 What Would You Do With 50 Additional Fridays Off? Plan what you'll do with your Fridays when you have them off. Available as a PDF or Excel file. Click the image to get access for free. Free up time by reducing unnecessary expenses. 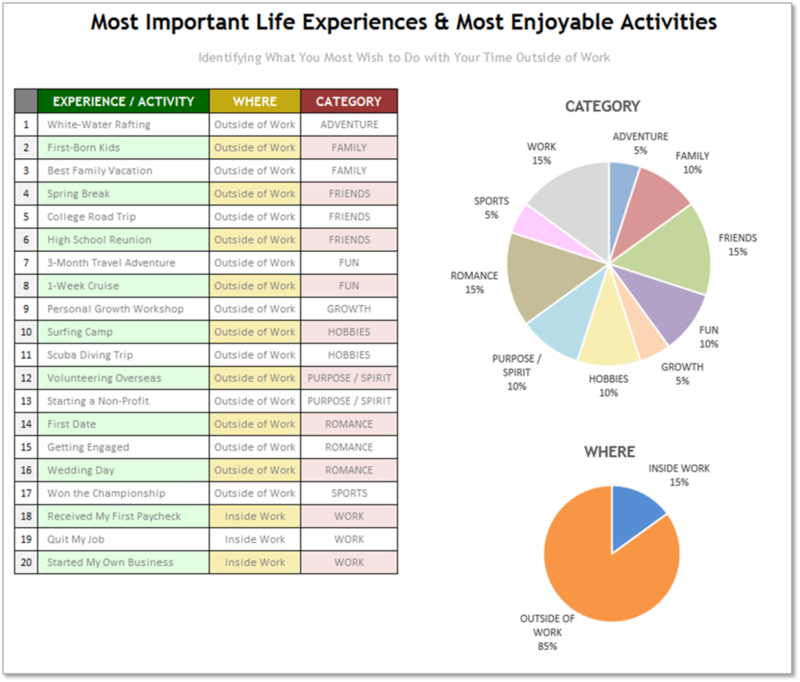 See which activities & experiences have impacted you most. Click the image to access the tool for free.